An interface with any browser is provided through unify.crtl, which makes it the web frontend of the wall management software. This enables literally any device in the network with an HTML5-capable browser to access eyeUNIFY. Its operation is fully independent of the chosen platform. Thanks to its responsive, touch-optimized surface, even tablets or smartphones can be used for the wall management of an entire control room without any additional apps. 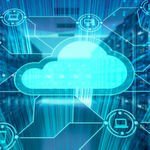 Together with an SSL encryption, the software is run via a secure connection, which enables operation via the internet. The number of clients in the network is freely scalable thanks to this operation in a browser. eyeUNIFY is placed under GNU General Public License as a free software. 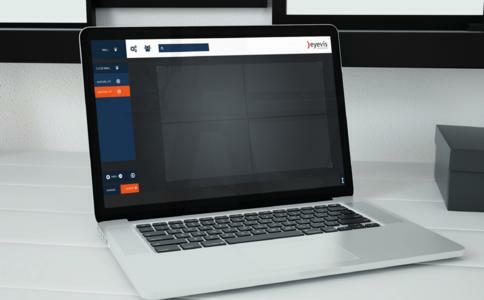 “Open source is becoming more and more important in the development of professional solutions due to its various advantages for the user,” Kai Schönberg, Director of IT Development at eyevis, justifies the step towards an OS platform. “Users with high security standards appreciate the additional transparency, provided by disclosing the source code.” Further advantages are the low entry costs and the flexible adaptability: Apart from eyevis, system integrators, retailers and even tech-savvy clients can develop software add-ons, interfaces or features themselves. The product can evolve continuously, and will do so in the exact same direction as the changing market requirements. In consequence of its open source philosophy, all eyeUNIFY users will benefit from all further developments. Furthermore, eyevis runs a community platform in the web, where users can swap ideas, inform themselves and find handy tips. Naturally eyevis offers graded support contracts and development services, supporting the client to the desired extent. “With this, we position ourselves once more as a competence partner. Whoever wishes optimum adaptation of his or her system to the current individual needs, can perfectly benefit from our know-how by calling on our knowledge in the form of development services or service and support,” Kai Schönberg adds. Thanks to this strategy, eyeUNIFY positions itself as a wall management tool with best value for money, which will remain future-proof and adaptable. The performance of the software is also convincing, as eyeUNIFY was programed to be resource-efficient. Due to its push notifications concept, the monitor wall responds to changes with a nominal latency of just a few milliseconds. At the same time, it only produces network traffic when changes are actually implemented. 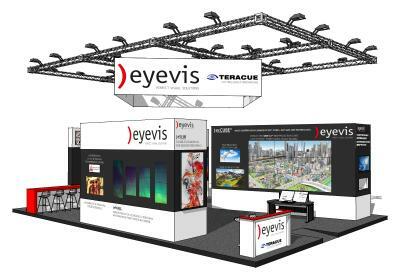 Kai Schönberg comments: “With eyeUNIFY, we supplement our product range with a lean and flexible solution, which is suitable for many new installations and has benefited from our longstanding expertise in the area of professional visualization solutions. 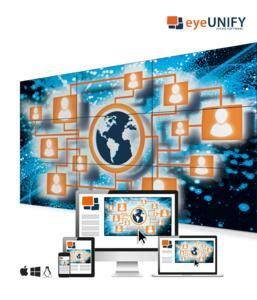 Moreover our comprehensive wall management software, eyeCON®, a universal high end solution with extensive functionality for the operation of large-screen systems, continues to be available.